I started working with honey bees when I was 12 years old because I developed an interest in beekeeping after earning the beekeeping merit from the Boy Scouts of America. Shortly thereafter, I had 3 bee hives. I have been keeping bees for 42 years. I am an advanced beekeeper in the state of Florida working toward Master Beekeeper in the University of Florida program. 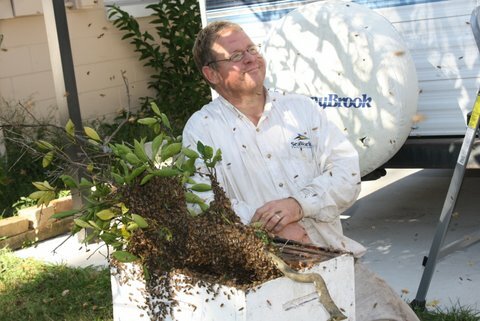 I was the treasurer for the Orange Blossom Beekeepers Association in Orlando, Florida, from 2007 to February 2016. I currently have around 100 bee hives that I manage. My goal is to have 400 to 500 bee hives in the near future. I raise mated queens and nucleus (5 frame nuc) hives to sell to beekeepers. This is a family business, so my children and my wife help in extracting, bottling, labeling and selling honey at Farmer’s Markets. I am installing a certified pouring facility to sell honey wholesale and retail. 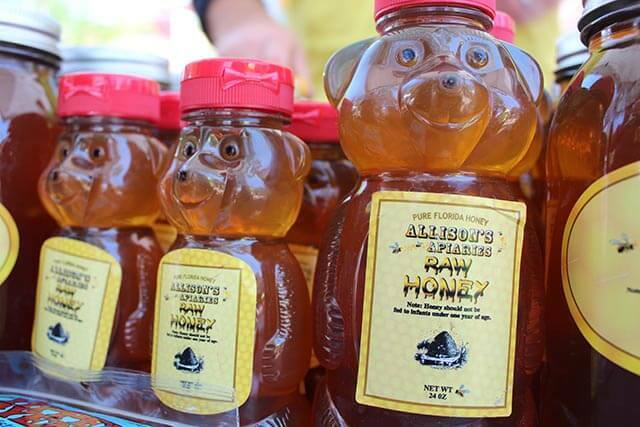 We harvest and sell local, raw honey at the Winter Garden Farmer’s Market on Saturday from 9:00 a.m. to 2:00 p.m. We also sell honey at the Whole Foods Farmers Market on Sand Lake Road on Tuesdays from 10:00 a.m. to 3:00 p.m. I remove honey bees from buildings (e.g., walls, floors, and ceilings), trees, water meters, and electrical boxes. My apiaries (bee yards, where I keep bees) are at Bio-Sphere in Winter Garden, Matthew’s Hope in Winter Garden, in Ocoee, St. Cloud, an organic orange grove in West Winter Garden, and Ferndale at Red Lion Nursery. I love honey bees and honey, and other products of the hive. I conduct educational training (i.e., Pre-K, elementary school and middle school educational programs) for any organization that would like to learn about honey bees and I bring along some honey for people to taste. I provide pollination services for vegetables and fruit trees in the area. I also mentor new beekeepers that live in the West Orange County area. Add me to the Allisons' Apiaries Email List!